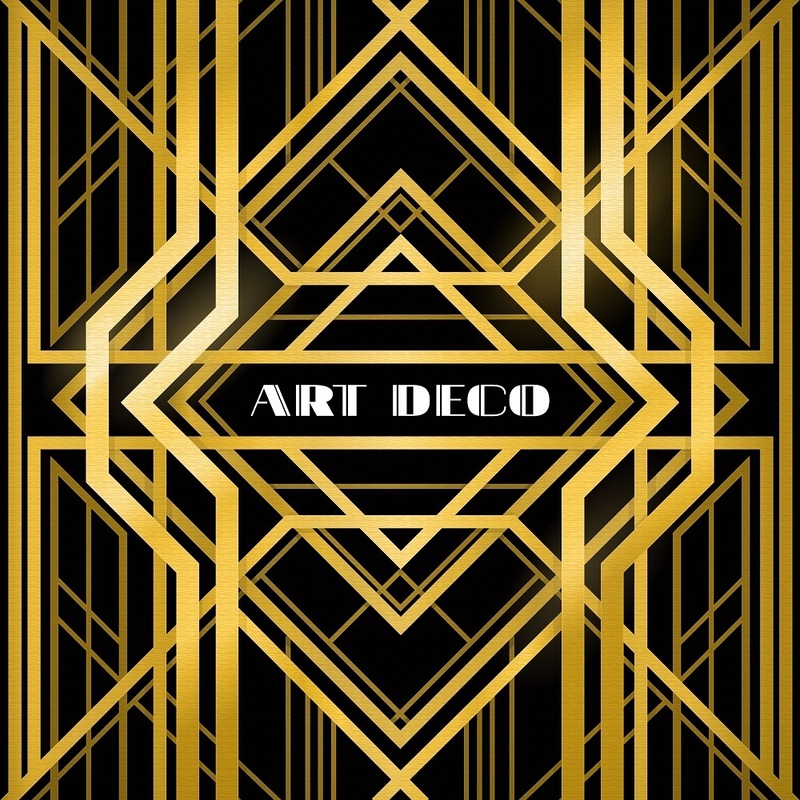 The Art Deco movement has carried an air of glamor and sophistication since its start in the 1920s. These days, the style calls to mind visually stunning films like Midnight in Paris or The Great Gatsby, where handsome men in suits and beautiful women in flapper dresses and long strands of pearls dance the night away at lavish parties. In fact, the style has become so synonymous with elegance that many women (like celeb Ashlee Simpson) look for Art Deco designs in their engagement rings. But what makes an Art Deco engagement ring? There are three major characteristics: light colored metals, daring geometric patterns, and brightly colored gemstone accents. However, one of the true perks of an Art Deco engagement ring is the uniqueness of the style. Sharp angles or cathedral-style arches, rubies, sapphires, or emeralds – with the right styling, any ring can get that Art Deco flair. 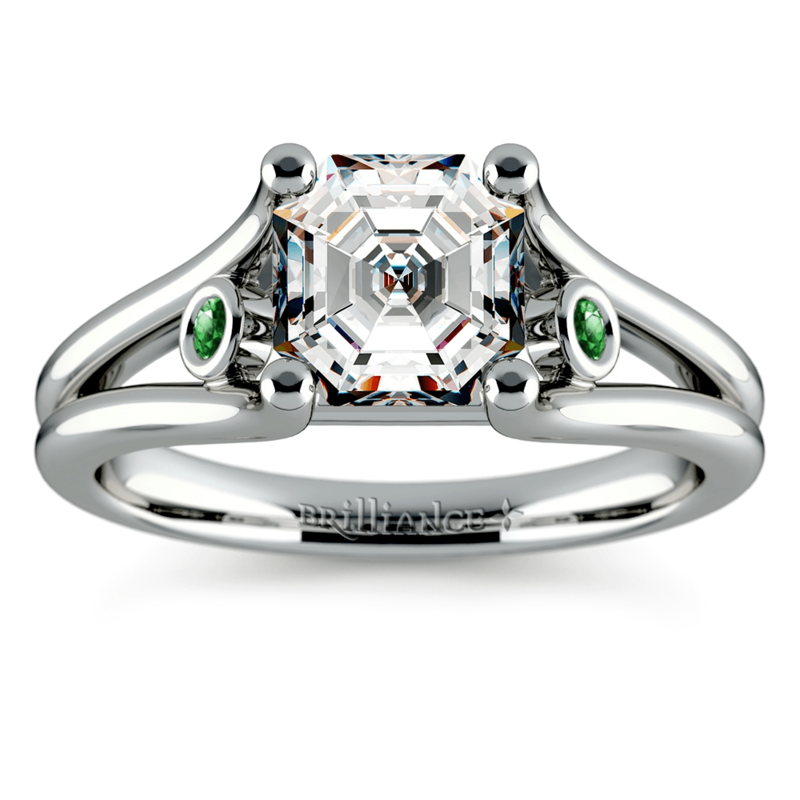 Take a look at these styles that incorporate Art Deco elements with diamonds and emeralds. You just might get inspired! This ring features all the elements of Art Deco jewelry, but avoids the price tag usually associated with such an opulent style. The split shank with floating bezel accents nails the bold, geometric category with a perfect ten, but the minimalist approach to the accents maintains a modern look, as well. The white gold keeps it fresh, hitting the light colored metal aspect of the era’s style. Yellow gold jewelry has a very “old-fashioned” feel, and Art Deco is all about a desire to be modern. The accent stones on either side of the ring also call to mind 1920s art and fashion. The emerald gemstones here give the ring a subtle pop of color that is fun and lively while still maintaining the elegance of the ring. If you’re a Gatsby fan, it’s also a sign of eternal love – what color light did Gatsby see at the end of Daisy’s dock each night? A standard pavé cathedral ring might not scream Art Deco, but when you add a pop of that green color from emerald gemstones and the right shape center stone, you’ve made a masterpiece even William Van Alen (architect of the famed Art Deco Chrysler Building) would love. What diamond shape is best suited for an Art Deco diamond engagement ring? 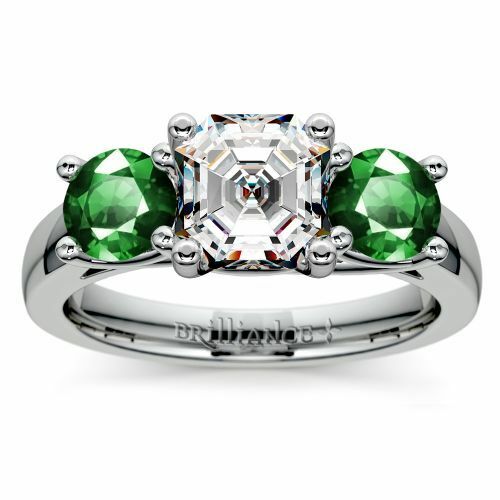 The answer, of course, is whichever style your fiancée prefers; if she doesn’t have a preference however, angular shapes like princess, emerald, or radiant cuts really suit the Art Deco look. A lot of the style is derived from architecture, meaning angular was in – for women, sometimes even intentionally boxy clothes, hats, or accessories were the rage. These stones reflect that fashion choice while still retaining their sparkle and shine. The Asscher diamond rose to fame during this period as the epitome of architectural opulence in diamond jewelry, and is usually considered the ideal shape for an Art Deco style ring. As you look for a diamond, however, don’t forget that there is a difference in how they look. 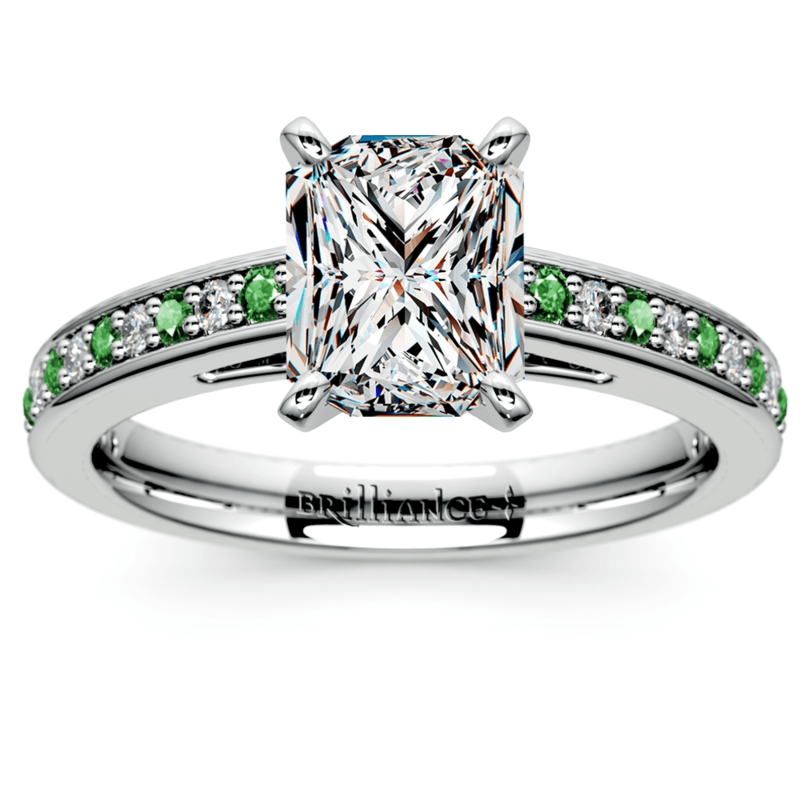 Emerald and Asscher cut diamonds, for example, have step facets for a “hall of mirrors” type of shine to them. This is an understated, modest kind of beauty, and it adds a timeless touch of class to any ring. But it doesn’t have the same fire (or sparkle) as a princess or radiant cut. Some girls are really hoping for that glittering look, so be sure you have an idea of what she wants before you make your purchase. Angles, particularly pointed arches, were exceedingly popular during the 1920s and 30s, so it is no surprise that they became a prominent feature of Art Deco fashion, architecture, and jewelry design. This ring makes use of these points and other geometric shapes to become the epitome of Art Deco jewelry design. However, you can still get creative and customize the ring. For example, why not replace the diamonds in that halo with a ring of emeralds? In this way, you’ve added that lively contrasting color (very Art Deco) and created a ring of your own. The ultimate in sophisticated opulence is a three stone engagement ring with emeralds, and nothing says Art Deco like one of these designs in white gold or platinum. Whether you go with a trellis style setting like the one above, or pick a basket style with trillion side stones (yes, this link shows trillion cut rubies, but it’s just an example), the elegance and glamor of these rings with their large accent stones will floor your soon-to-be betrothed. 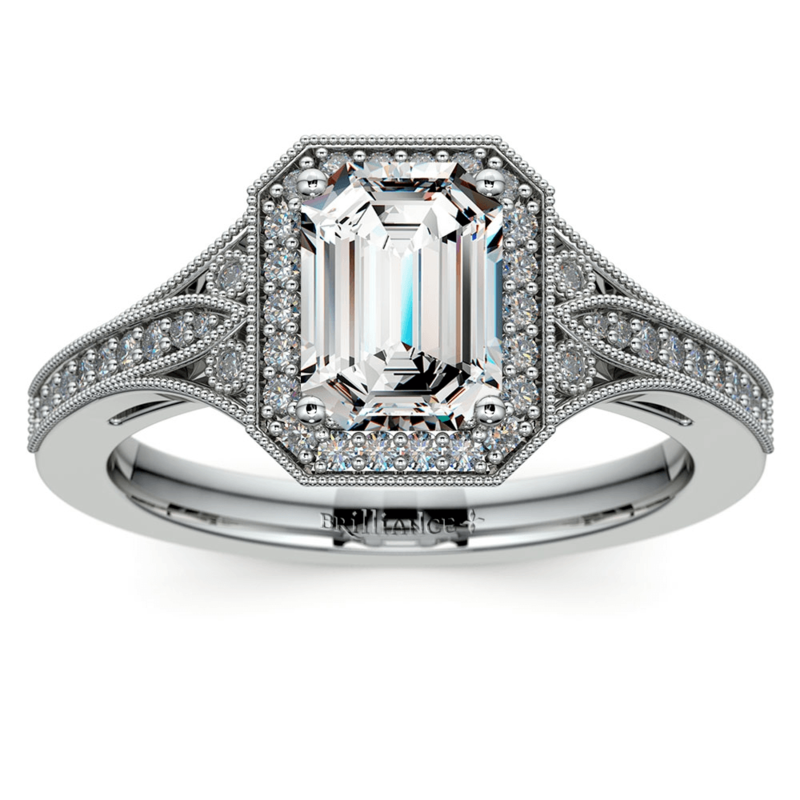 Of course, the most important part of finding an Art Deco engagement ring is simply to be bold. This style was born in the roaring 20s, so look for a ring that makes you feel like roaring! Find (or customize) a ring that is exciting and original, with a little touch of timeless sophistication and you’ll be on the right track.